After being out of town on three back-to-back holidays, yesterday I decided to play tourist in my hometown of Vancouver, and join the Context Travel “Made in BC Culinary Stroll” of historic Granville Island. As much as I love a freshly stamped passport, there’s something so rewarding about experiencing my city like it’s the first time, especially when it involves local food! 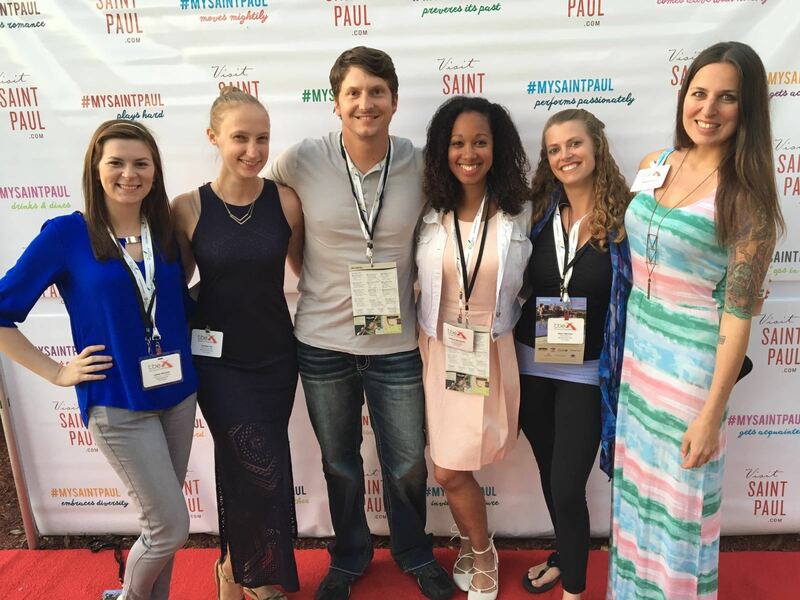 If tours are not your thing, but intimate and experiential travel is, Context is perfect for you. These are not tours so much as they are walking seminars, led by experts in their field of choice. 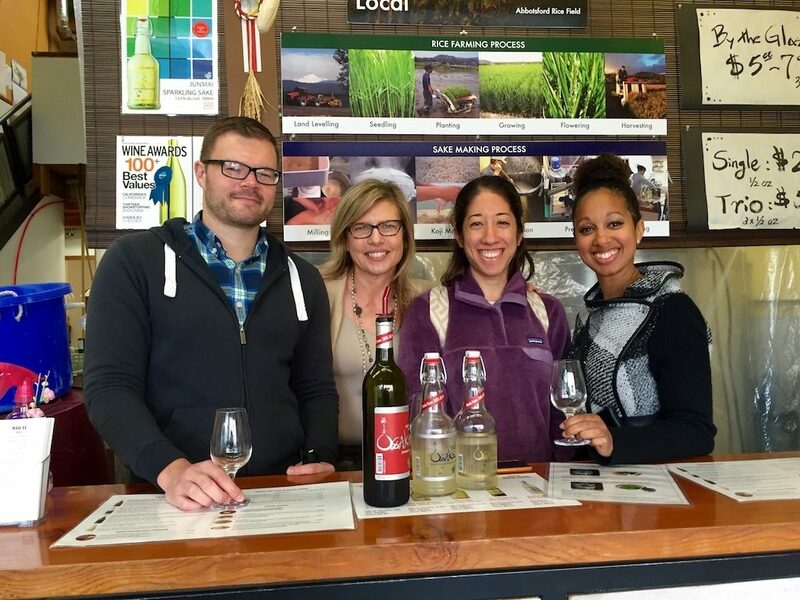 The idea is to engage travelers in a discussion and provide them with in-depth knowledge on a particular aspect of local culture, be it food, wine, history, literature or architecture. Context Travel gets to the very heart of a city through their notion of deep travel – A destination is always far more than meets the eye. And the best part, group sizes are restricted to 6 people, providing travelers with a backstage pass to city life. 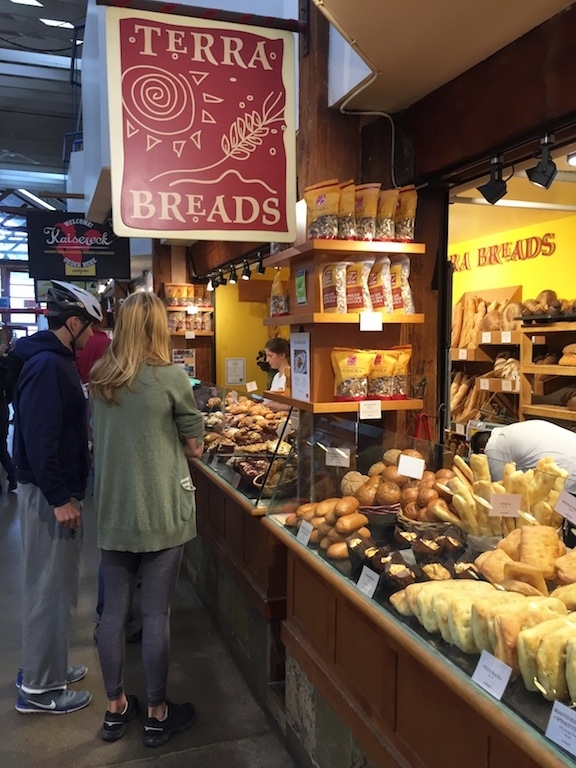 Granville Island is home to the city’s most beloved public market and while it’s often touted as a “must-see” option for tourists, the truth is, over 70% of market-goers are actually locals. I have fond childhood memories of coming to this unique place with my mother. We would shop for fresh ingredients, listen to local buskers and watch the fishing boats bring in their daily catch. 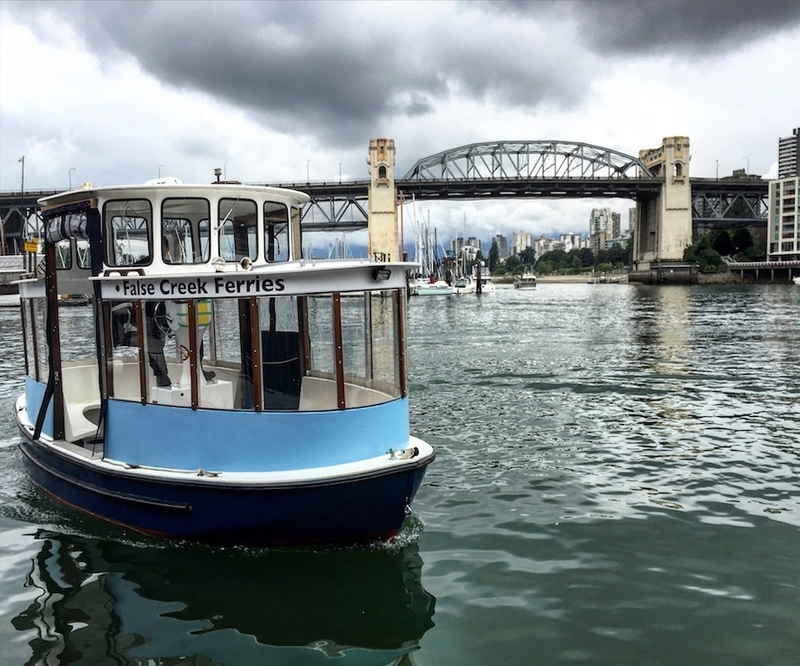 But I had no idea how rich and diverse the culinary scene truly was on Granville Island until I spent the morning with Context Travel Docent Heather Nichol. So on a dreary Sunday morning, I met up with fellow tour mates, Vancouver-based travel blogger Claus Gurumeta and digital nomad Kimmi Sugiyama in Yaletown. Heather arrived promptly and after we all made our introductions, we trounced into the rain to catch a short ferry ride to Granville Island. Our first stop brought us to the Granville Island Tea Company. 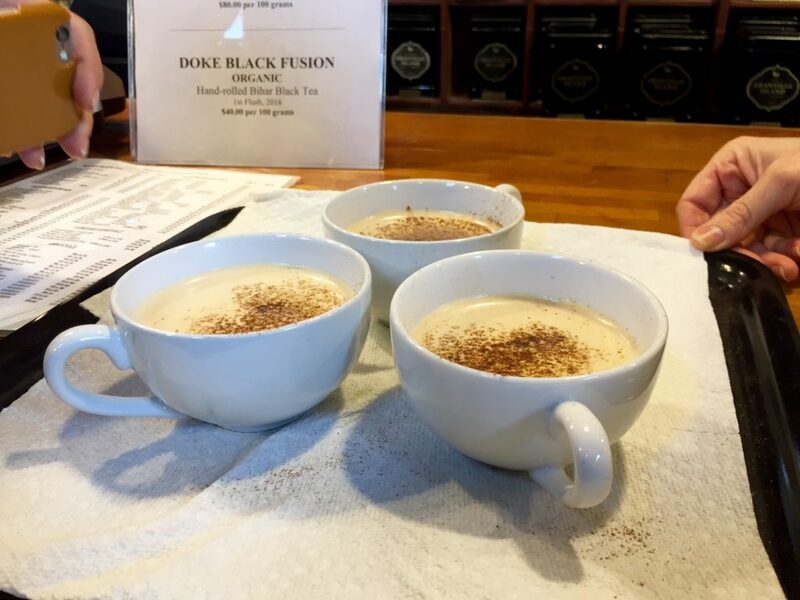 With the weather so miserable outside, a frothy cup of perfectly blended chai tea was just what the doctor ordered. 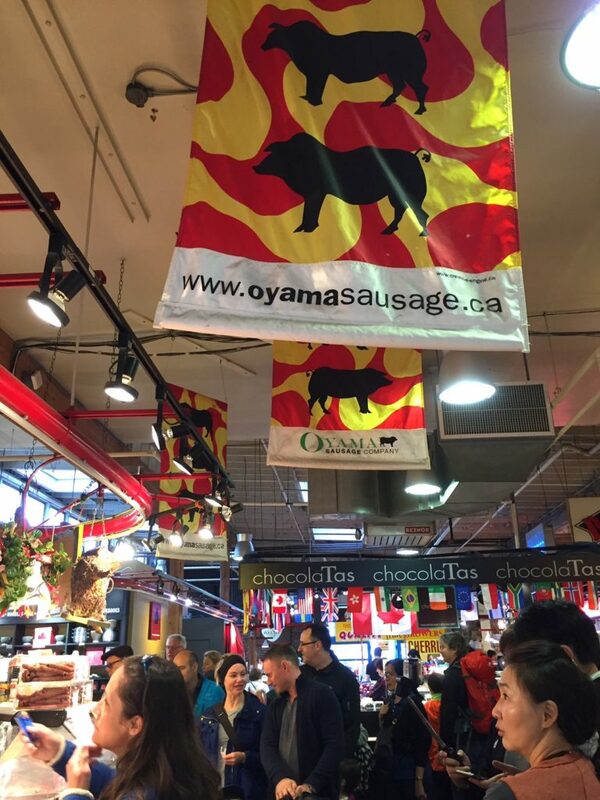 With cleansed palates, we moved on to the Oyama Sausage Company, a Vancouver institution. Oyama’s selection of charcuterie, fresh sausages, and cheeses are seen on the tables of Vancouver’s most prestigious restaurants. A generous pre-plated selection of full of salamis of hams awaited us. Time for a palate re-set. Granville Island is renowned for its fresh produce, and #1 Orchard has some of the best fresh fruit I’ve ever tasted in my life. We helped ourselves to plump blueberries, strawberries, Ambrosia apples (indigenous and grown in British Columbia), Pink Lady’s and cherries. 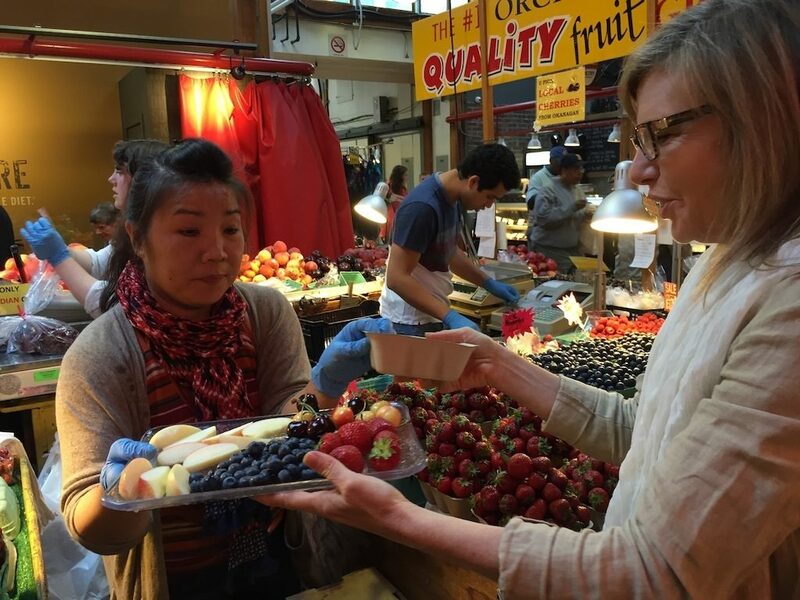 Stall owner Maggie takes pride in only selling seasonal and locally grown fruit. No culinary tour is complete without artisan bread, and it was hard not to want everything at Vancouver based Terra Breads. With baggies full of fresh rosemary and french breads in hand, we strolled over to what was to become one of my favourite stops on the whole tour. 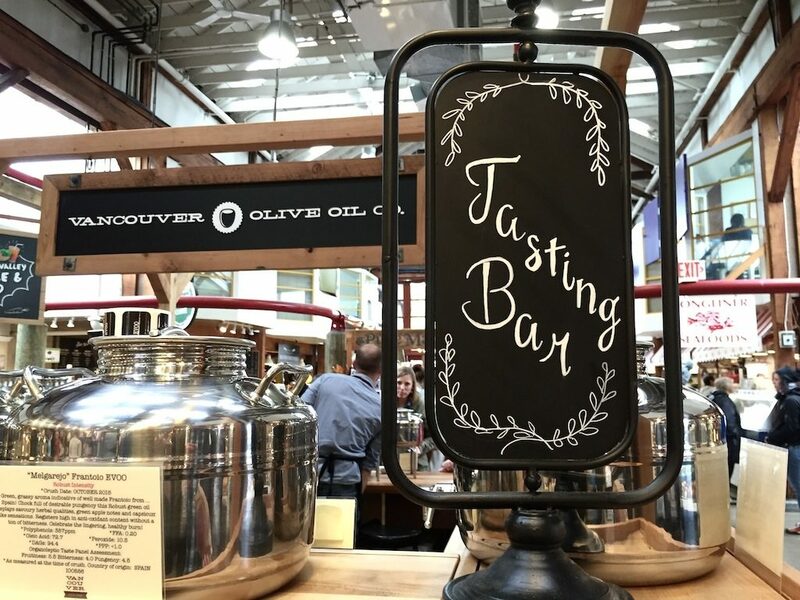 Have you ever been to an olive oil tasting bar? I had no idea such an idea existed until Heather introduced us what was to become my second purchase on the tour! The Vancouver Olive Oil company doesn’t focus on a particular region, but freshness, which is why their oils are sourced from Spain, Tunisia, Italy, Chile, Argentina and Australia and blended here in Vancouver. A spoonful of buttered olive oil on my freshly baked rosemary bread and I was in foodie heaven. 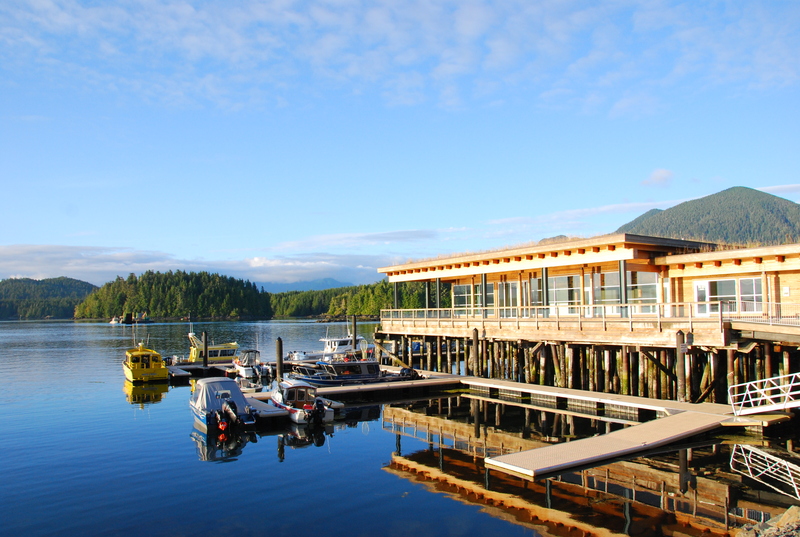 Seafood is a treasured staple here on the west coast. And with all the seafood counters on Granville Island to choose from, Heather brought us to the one with the freshest ingredients and a heavy focus on sustainability. We were treated to BC spot prawns, sweet dungeness crab, as well as delicious candied and smoked salmon. I’ve walked past ChocolaTas so many times, but I’d never indulged. 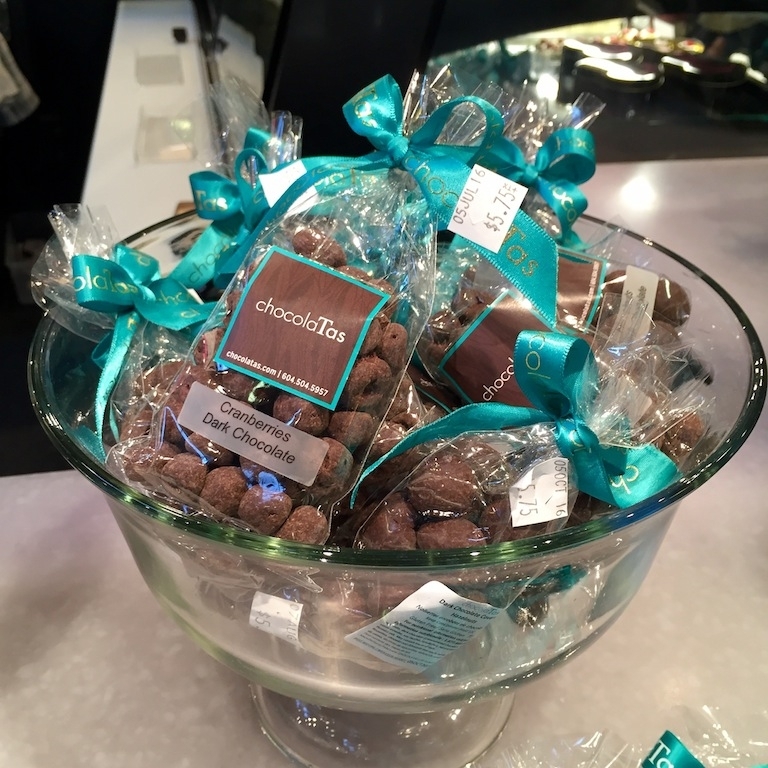 I learned that Granville Island, and the Vancouver food scene is home to one of the fastest growing collectives of Master Chocolatiers in the world. A sampling of salted rosemary chocolate goodness was the perfect follow up to fresh seafood. One of the last stops of our tour was the Edible Vancouver Bistro where any questions you previously had about what Canadian food were asked and answered. 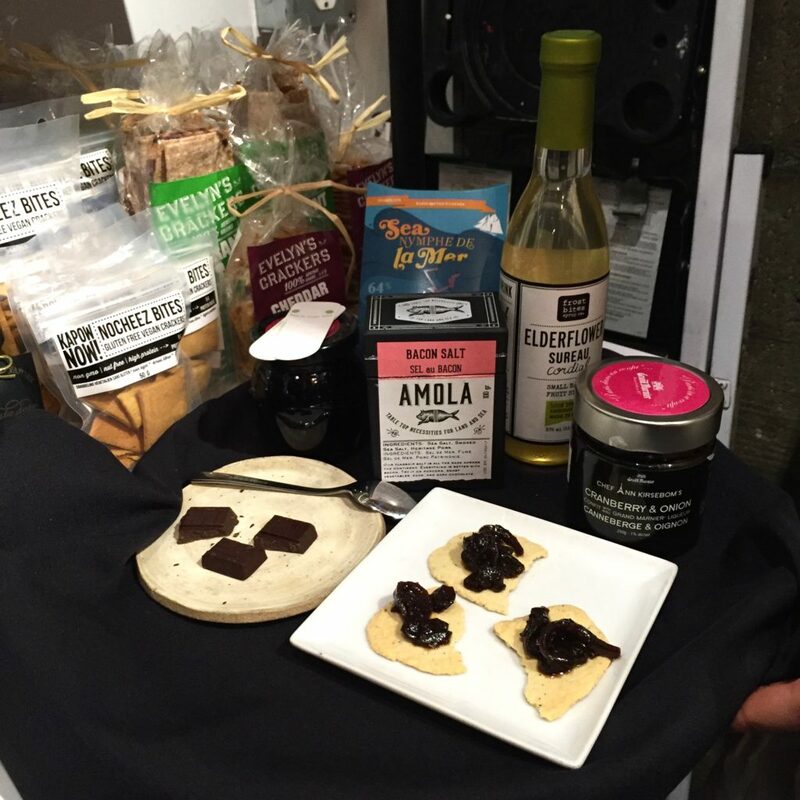 A sampling of cranberry & onion jams, crackers, truffle and bacon sea salts, local chocolates and refreshing elderflower rounded out our seminar on local food. With full bellies and a renewed appreciation for Vancouver cuisine, Heather had one more stop up her sleeve. 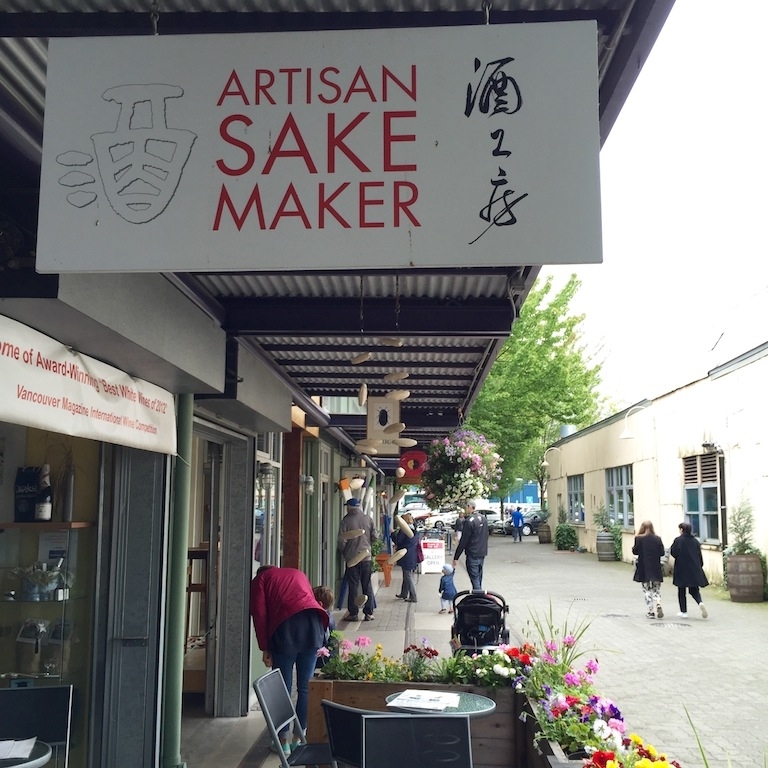 Tucked away on a side street is Canada’s first locally grown and manufactured Sake. We each enjoyed a flight of Sake, all of which were delicious, unique, and made locally in the Fraser Valley. The intimacy of a small group, paired with Heather’s vast knowledge of the local food scene are precisely why I can’t wait to experience Context Travel in Europe this summer. 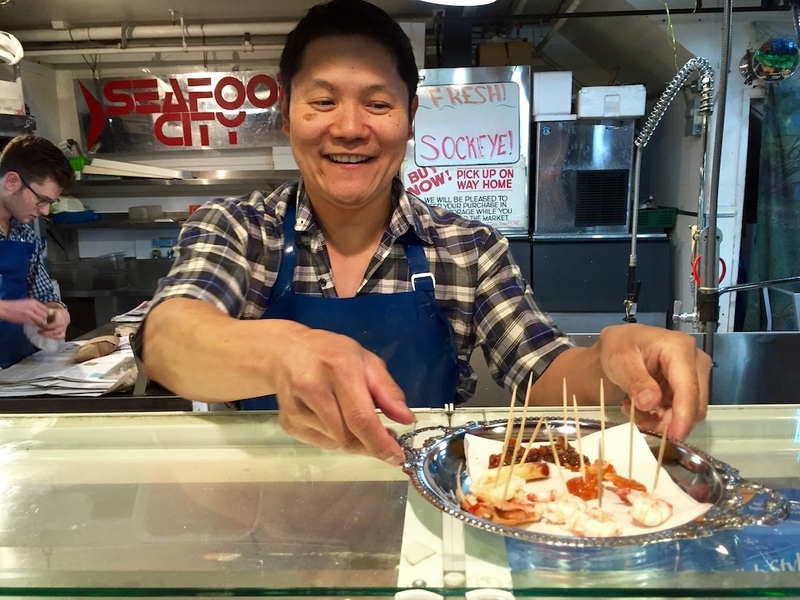 I visited food stalls I had barely noticed and sampled foods I had never tried, even after frequenting Granville Island after all these years. 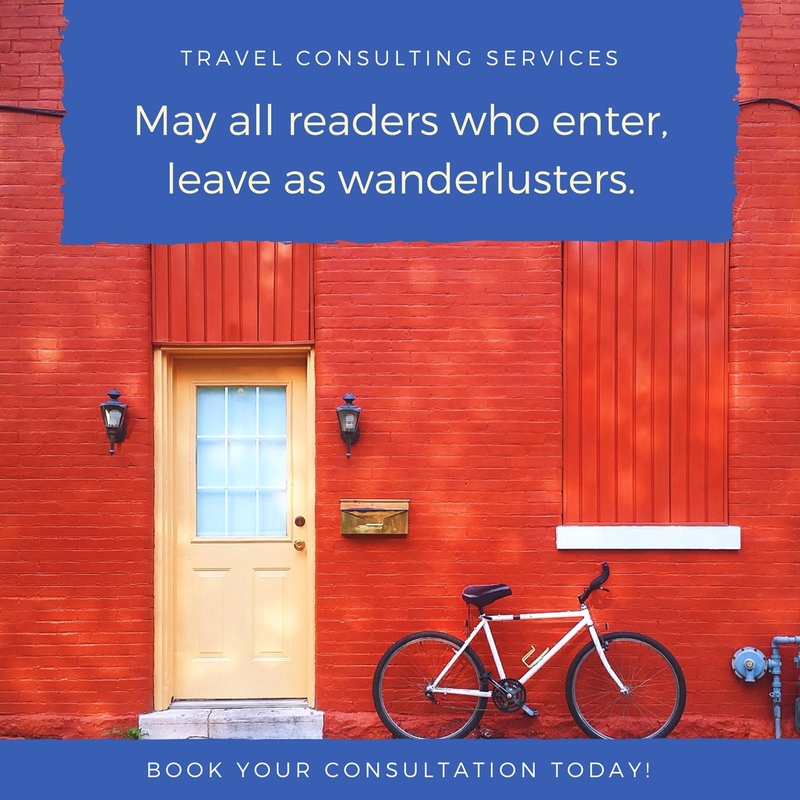 Whether you are a local, wanting to get reaquainted with your town, or a visitor, in my opinion, a Context Travel seminar is the best way to get to the heart of this eclectic city. Want to get a better feel for the tour? Check out my video below! I love travel food trip, so if ever I go to B.C Canada I assure that I will taste all their best food. Thank you for sharing your blog with us.